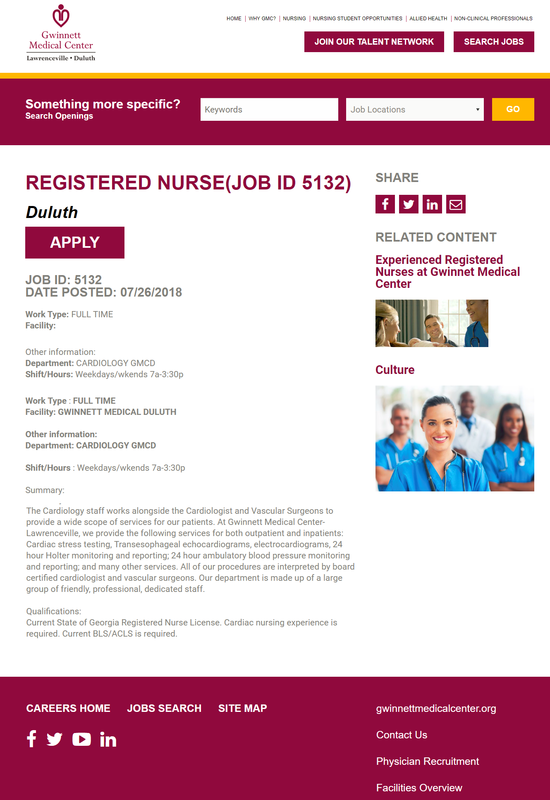 What is a Job Page Overlay? A job page overlay (or job wrapper) is a design layer you put over your applicant tracking system to generate new job pages. This makes your pages more engaging and attractive to candidates. 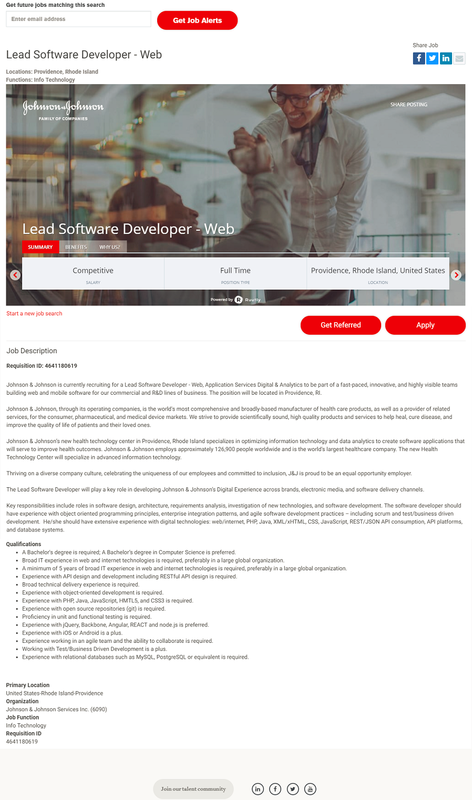 You get a higher time on page and apply rate. 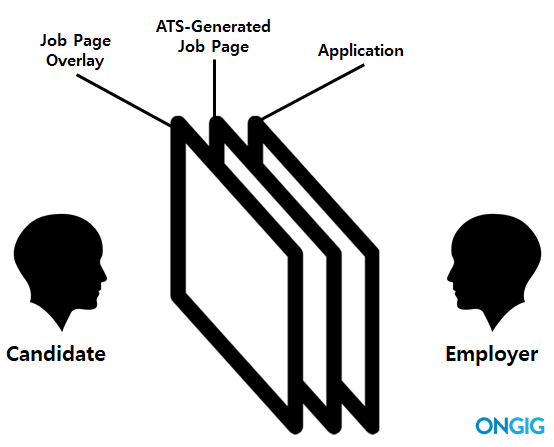 Why Use a Job Page Overlay on your ATS? Here are some reasons why default job pages from applicant tracking systems fall short when it comes to attractiveness and engagement. Limited media support — Some applicant tracking systems don’t support video (a key employer branding tool especially for JDs). Limited job page layout options — Most ATS systems provide a single job page layout option. Limited branding opportunities — There may be only one or two places to brand your job pages. This isn’t enough to leave a lasting impression in the candidate’s mind. Job description formatting capabilities — There is no convenient way to consistently format all job pages (i.e. font, font size, bold, line breaks). If your job reqs are assigned to different recruiters, all you can do is hope they are on the same page, which isn’t likely if it’s a big organization. What is the Goal of a Job Page Overlay? The goal of job page overlays is to optimize the design and content of your job pages to help attract, engage, and convert more candidates. ATS Systems were never made to be candidate-facing. But ironically they generate the job pages that play a significant role in what the candidate sees. Instead, you should have full control over your job pages. That’s what job page overlays allow you to do. 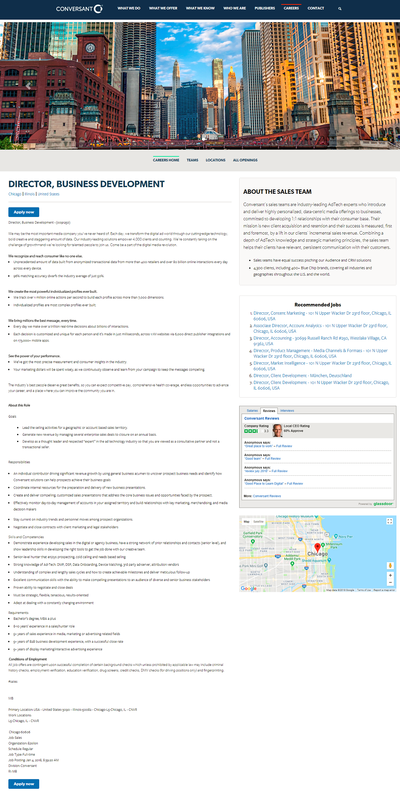 Note: Can you tell which applicant tracking system each company is using just by looking at these candidate-facing job pages? Ongig lets you have a job page overlay for any applicant tracking system. You can have more control over your job pages and also add AI job search, video, pictures, ratings and reviews, recommended jobs, maps and much more!